For many people, mawlids are a time of work and a major source of income. During the festival, trade flourishes as people buy religious books and posters, souvenirs, toys, tapes, snacks and sweets. These goods are often brought home as souvenirs that carry baraka, God's blessing transferred through the holy sites to all objects near it. 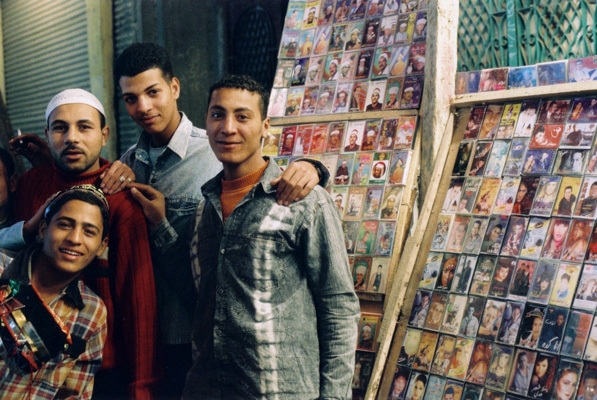 The young men in this picture sell cassette tapes of various kinds: mainly pop music but fort he occasion also a wide variety of Qur'an recitation and Sufi music.